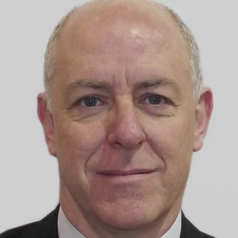 Mark Frydenberg graduated from the University of Melbourne , School of Medicine in 1982 with a MBBS (Hons) and was awarded FRACS in Urology in 1990. He then completed a formal urologic oncology fellowship specialising in prostate cancer management at the Mayo Clinic , USA . He works as a urologist and uro-oncologist within the multidisciplinary urology group Australian Urology Associates , as well as at Monash Medical Centre . He is currently the chairman of the Department of Urology at Monash Medical Centre and obtained a clinical associate professorship in the Monash University Departments of Surgery in 1997 , and is Clinical Director of the Centre of Urological Research , Monash Institute of Medical Research . Associate Professor Mark Frydenberg is also chairman of the Urological Oncology Special Advisory Group of the Urological Society of Australia and New Zealand . He is a board member of Andrology Australia , and the uro-oncology representative on the Education Sub-committee of the Prostate Cancer Foundation of Australia . He is an editorial board member of the BJU International as well as the Brazilian Journal of Urology , and reviews for these journals as well as Urology, Journal of Urology, Urologic Oncology, Medical Journal of Australia and ANZ Journal of Surgery.